NOTE: This Video is offered for the purpose of inspiration & education; images & music are either original by Ann M. Wolf or are used by permission, by license, with some images having been obtained from (what the artist believes) are public domain sites. Please advise if any images require additional licenses or permissions. Thank you. 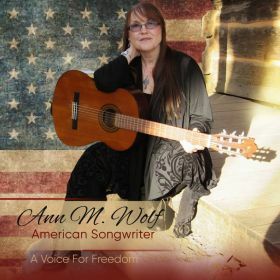 Welcome to the world of the Spiritual Artistry of Ann Wolf, songwriter, recording artist, author & chaplain.